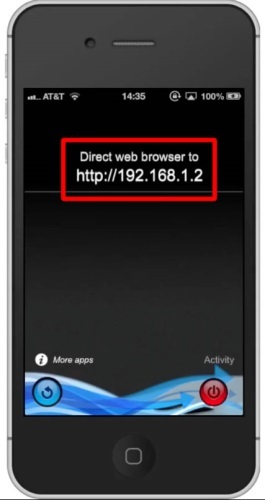 When you open the app you will see a web address. Type this into the URL field of the Internet browser. You will now see all the songs associated with your iPhone. 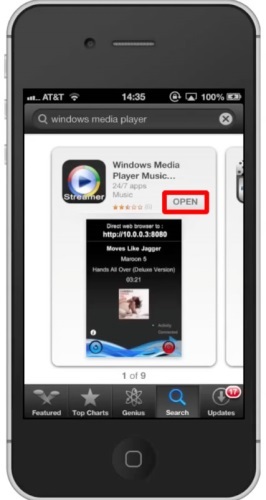 Click on the hyperlink of the song you want to stream. You will now be streaming your iPhone’s content via the Windows Media Player App. You can also adjust the volume by using the horizontal volume fader.